Want to live forever? Immortality might be closer than you think. Forever Young explores the movement to not only expand life expectancy but to craft a genetic reality that allows us to stay young for longer stretches of time. This growing field of research and experimentation approaches ageing like a disease begging for a cure. The film introduces us to several figures who stand at the forefront of this mission. After her young son was diagnosed with diabetes, Liz Parrish happened upon information related to genetics and its role in determining our propensity for illness. She felt that not enough was being done to cure the leading cause of death and disease: ageing. She assumed a scientific and biological approach to the dilemma and injected herself with a substance designed to elongate the tips of her chromosomes. These tips, called telomeres, shorten during a person's lifespan and slow the replication of cells. This acts as an engine for the degradation of health, function and appearance. These experiments are still in their infancy, and much work must be done before they are suitable for widespread human testing, but they're emblematic of a larger search for a modern fountain of youth. 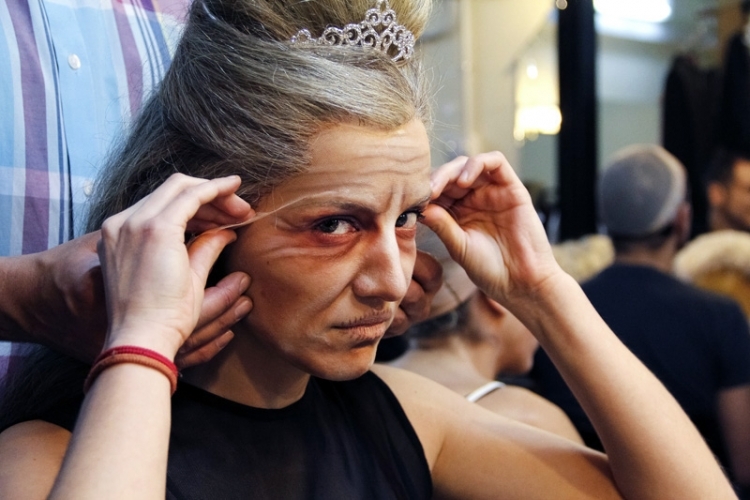 These pursuits converge at RAADfest, an annual conference devoted to the lucrative anti-ageing industry. Here, scientists and entrepreneurs meet with investors eager to support the next breakthroughs in age suppression technology. At present, there is no definitive cure because there is no obvious smoking gun. The key to these breakthroughs is in the understanding of how and why we age, a process for which there is no overwhelming consensus. Potential cures run the gamut from cellular stimulants to drug therapies. As more and more experiments are successfully lengthening the life spans of laboratory mice and other mammals, corporations are jumping on the anti-aging bandwagon like never before. On the biotech side, the filmmakers gain unprecedented access to Calico Life Sciences, one of the world's most robustly funded labs devoted to the science of ageing. Average lifespans have doubled over the past century. Forever Young profiles the efforts to keep that momentum going for the next century.